Some people have expressed surprise that the proposed agenda for SSI’s 2019 conference does not include a strong focus on space transportation, which has been one of the primary obstacles to space settlement up to now. Some have speculated that SSI considers space transportation to be a solved problem, thanks to companies such as Blue Origin and SpaceX. Nothing could be further from the truth. Even if one assumes that Blue Origin and SpaceX will be successful in solving the low-cost Earth-to-orbit problem (which is still not guaranteed), there are still many challenges involving low-cost operations in cis-lunar space and beyond. The reason we’re not discussing these problems at our conference is because they’re being addressed elsewhere. 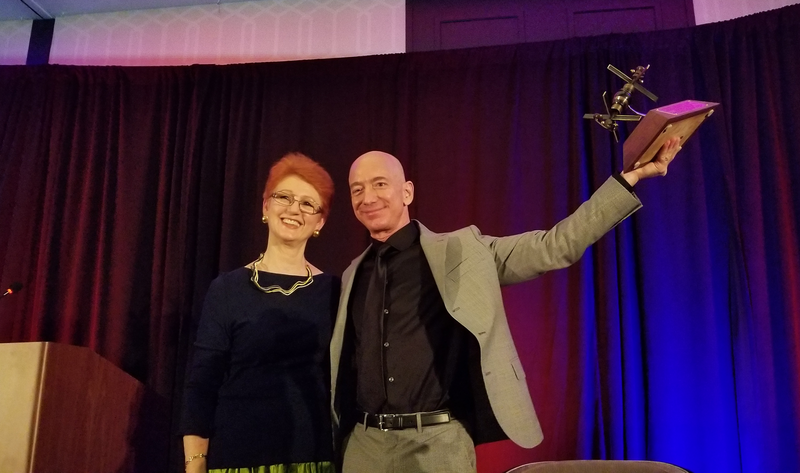 The Space Access Society, whose annual conference has been on sabbatical for the past couple of years, has announced that their conference will resume in 2019. Space Access 2019 will be held at the Fremont Marriott Silicon Valley on April 18-21. The Space Access Society is working with a new team from the Bay Area’s Experimental Rocket Propulsion Society to make the conference better than ever. Preliminary information and signup are available at https://sa2019.erps.org. We encourage anyone who’s interested in the transportation side of the space-settlement equation to sign up and attend Space Access 2019, which will be a perfect complement to the Space Studies Institute conference later in the year. The Space Studies Institute has been hard at work preparing for the new year. 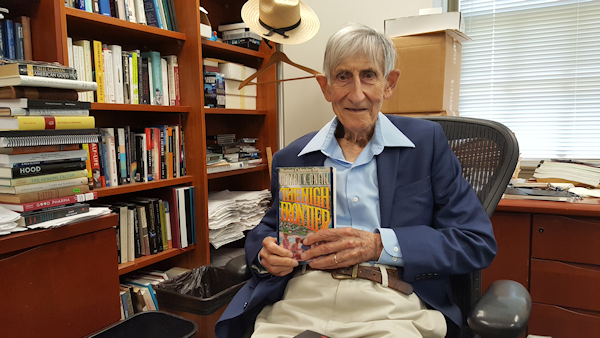 2019 marks the 50th anniversary of Professor Gerard K. O’Neill’s High Frontier vision and the start of a new era for SSI. We’re ready for it. We’re pleased to say that we now have a firm date for the Space Studies Institute 2019 Conference and a great venue. Look for an announcement shortly after the first of the year. This conference will have a new format and new theme, which marks the start of multi-year effort to identify the barriers to space settlement and develop viable solutions. The Space Studies Institute continues to focus on O’Neill’s goal of opening up space for settlement by large numbers of people. To achieve this goal, we must address the economic barriers to space settlement as well as the technological. The original High Frontier concept relied on space solar power as an economic driver. Unfortunately, the space solar power industry has so far failed to develop. In retrospect, it was a mistake to base the concept on a single revenue driver. Multiple revenue streams are needed. SSI will be taking a fresh look at space solar power, but we will also be looking at other potential revenue sources. The larger space community is currently focused on government contracting. While NASA contracting is a viable strategy for startups such as SpaceX, NASA alone cannot provide the stable funding that is needed for large-scale space settlement. The history of frontier settlement on Earth shows that cities arise where there is a commercial opportunity or, more rarely, military need. Examples of cities arising from government science outposts are notably lacking. We must look to markets beyond NASA. 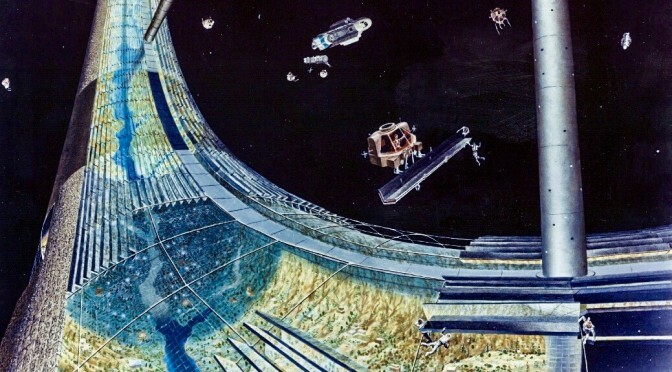 The large space settlements envisioned by Professor O’Neill, housing thousands of people, will not be built overnight. They will almost certainly be preceded by a series of smaller habitats, which will gradually increase in size and complexity over time. To date, however, we do not have even a single commercial habitat in space. We must give thought to the intermediate steps between the International Space Station, with its six-person crew, and O’Neill’s Island One. What will those intermediate stations, or proto-settlements, look like? Who will build them, and how will they pay for themselves? We need to take a close look at advanced space construction techniques and extraterrestrial resources, based on the latest data from recent missions and current research. We should open our minds to new approaches. For example, there is enough space debris in Earth orbit to build a space station six times the size of ISS, and it’s already in the form of highly refined aerospace-grade alloys, not raw ore. Could recycling this material be the first step in developing extraterrestrial resources? There are also formidable challenges in life support and human physiology factors. We need to learn how to create a functioning farm ecology in space. We need to better understand the limits of human tolerance for partial gravity and cosmic radiation. And we need to develop and prove out better forms of radiation protection. Finally, we must consider the best location (or, more likely, locations) for large-scale space settlement. Professor O’Neill made powerful arguments for the Lagrangian libration points, 60 degrees before and behind the Moon, but we need to consider all alternatives in light of current knowledge: Everything from Low Earth Orbit to the asteroid belt. And, then, we will look beyond, to the stars. SSI is already working on advanced propulsion, with support from the NASA Institute of Advanced Concepts, that may take us to the stars. Or perhaps we’ll take the slow route, hopping from one interstellar object to the next, establishing outposts of human civilization as we go. There are a lot of questions that need to be addressed over the next few years. We hope you’ll join SSI at our 2019 Conference to help us find the answers.